Summer time is coming. Its the time you will need lot of coolers and syrups to beat the heat. Why not try out all these lip licking drinks from Saawariya. Rose syrup, jeera syrup, black current, khus syrup, you name it and we have it all. 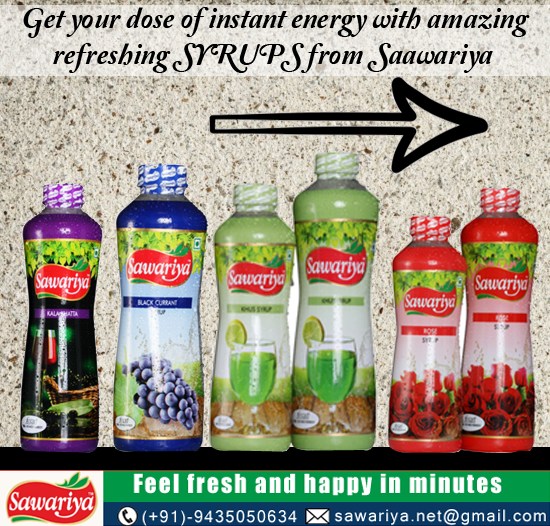 Whether you have to host a party or simply relax on your couch with a glass of cool tasty drink, Saawariya can be your perfect friend. "A friend in all seasons"